When is drought, a drought? 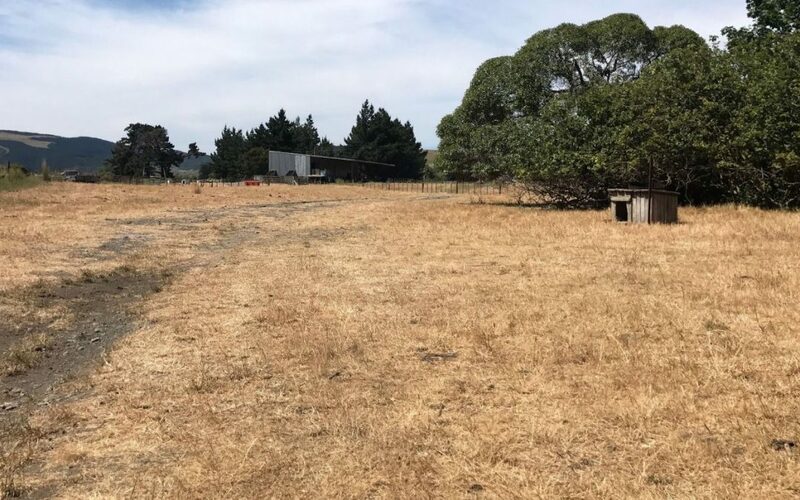 As the areas considered ‘in drought’ across Wairarapa continues to expand, it will take longer than the past six weeks of hot dry weather for district councils to declare region-wide drought. The areas of meteorological drought in the region had expanded over the past two days reaching western Carterton and Masterton, and all South Wairarapa except for the far south east, according to NIWA on Wednesday. While the Ministry of Primary Industries [MPI] does not declare a drought at a localised level, it is up to local councils to acknowledge a drought for the communities. Wairarapa’s three district councils have acknowledged the pressure on river levels, and the stress of the dry weather on rural communities, but have not ‘declared drought’. Masterton District Council assets and operations manager David Hopman said the council would acknowledge a state of drought “if that is the reality”. Carterton District Mayor John Booth said the council acknowledged the “dire state of the district” and was prepared to act swiftly if the situation changed. South Wairarapa District Council chief executive Paul Crimp said, “we are not at a stage where any response, to any dry weather conditions, is appropriate”. East Coast Rural Support Trust Wairarapa chair and Te Whiti farmer Neil McLaren said Wairarapa had become “dry in a hurry”. “Because it has occurred so early after a poor spring, there is no build-up of feed, so the pressure will come on sooner than it normally would in a drought,” he said. For the bulk of farmers, such a declaration did not mean anything other than the government’s acknowledgment of the serious situation, he said. Mr McLaren remembered the 1977-78 drought as the only other early dry start to season. While it was still early days, there was a couple of months before any decision, if any, would be made on the government’s acknowledgement of drought, he said. MPI resource policy director Kate Hellstrom said the ministry’s role was to identify the impacts of drought and to classify it as a localised, medium or large-scale adverse event. Wairarapa remained a ‘watching brief’. With a few millimetres of rain forecast for Wednesday night and Thursday morning, it most likely will not be enough to top up river levels and stop the drying out of soils across the large areas of ‘drought-stricken’ Wairarapa. NIWA predicted between 5mm and 10mm of rain for the region up until 10am Thursday – the most rainfall expected in over a month. Greater Wellington Regional Council environmental regulation project leader Stephen Thawley said based on the rain forecast for Thursday, there may only be a small, if not, no reprieve to the current 11 Wairarapa catchments on water restrictions. “There was some rain in the Tararuas in the weekend, only a small amount, but it did lift the river up for a very short period — it almost got back up to lifting a restriction but not quite,” he said. The Ruamahanga River is at a four-year low flow, while the Waiohine River sits at a two-year low, according to Greater Wellington Regional Council’s latest figures. All other Wairarapa rivers are fast approaching their annual low flow levels. Many groundwater bores across the region have shown a decline over the past two months between the end of winter and beginning of the irrigation season.